The population of Dugong dugon from the Andaman & Nicobar Islands is reported to be in decline. 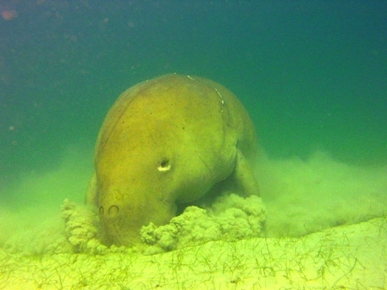 The presence of around 40 dugongs was reported in 1999, however, this number may have reduced due to hunting and accidental catches in the past years. Seagrass habitats were also affected by the tsunami of 2004. Therefore, the overall aim of this project is to generate baseline information on the population of dugong and the status of seagrass beds which could contribute to species conservation measures. The methodology will include boat surveys, qualitative and quantitative studies on seagrass, focal animal surveys and threat assessment along with community awareness programmes.